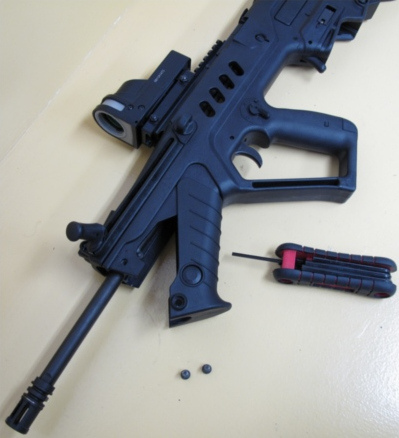 I purchassed the parts from www.zahal.org. There were no problems getting the parts shipped to Canada. Unscrew the two cocking handle guide screws (one on each side). Pull the grip downwards. It rotates from the back. The rail holes do not match the holes already present in the grip. You have to drill new ones. I used a 5/32" bit. To Fab Defense's credit however, once the new holes have been drilled, they align perfectly with the square nuts that fit inside the grip grooves. Apply a thin coat of blue Loctite and tighthen the screws. Note: be careful you do not strip the hex screws head! 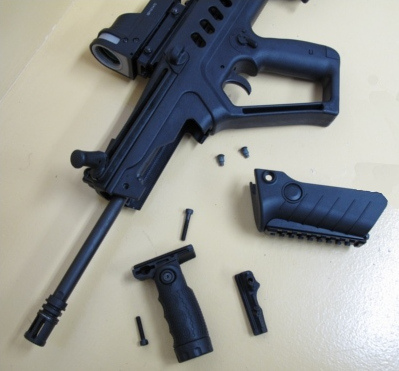 With the majority of vertical grips, you want to slide them on the rail before you reinstall the Tavor grip. There is simply no space to do it once installed. 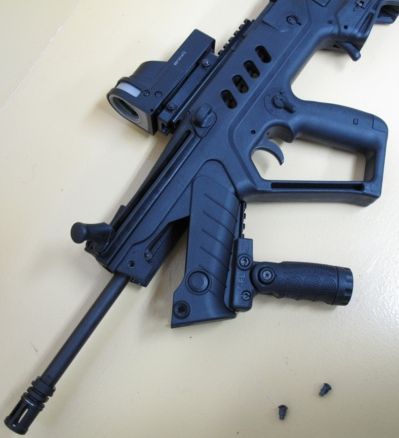 The Fab Defence grip can be openned completly to one side so it is not an issue with that model. 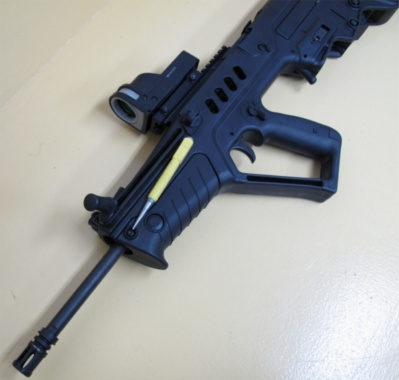 To install the Tavor grip, make sure you first insert the back of the grip on the receiver. Then rotate up. Apply a thin coat of Loctite on the guide cocking handle screws and tighten them.